Each volume in this practical, musical, and economical series includes 50 folk songs and a CD. The CD contains an instrumental solo track plus an engaging acoustic accompaniment for every tune. 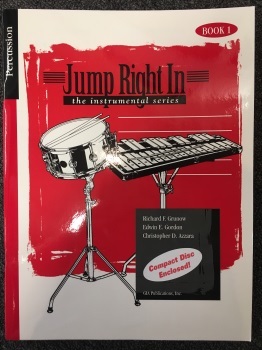 The Jump Right In Solo Books also feature enrichment activities to help young players move beyond the printed page, including a convenient way to track ear-training activities for each song. These books even include chord symbols for each tune as preparation for improvisation. Grouped by level of difficulty and by key, these books are sure to engage any student hungry for more music or anyone simply looking to have fun.